We are getting started. Above is a chunk of the Hydrosheds conditioned 3" DEM which we built on t:\topog\world\hydrosheds\hydrosheds.gdb. This is a test of the process of automating the creation of basins at 5-minute cell size for use in the VIC hydrologic model. 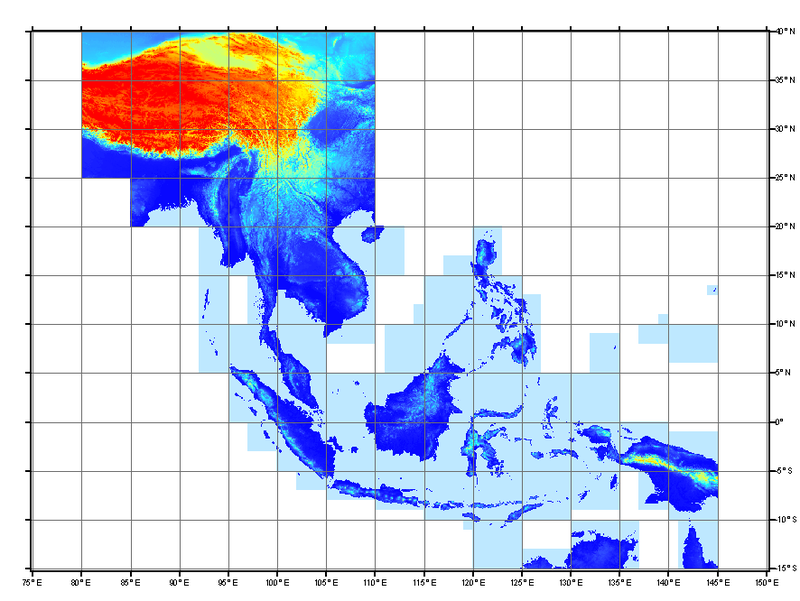 Here we see the Island of Java and the nine drainage basins larger than 2000 square km in area. The blue lines show flowdirection as calculated at 5-minute resolution with our algorithm for scaling up the HydroSHEDS 3-second DEM. 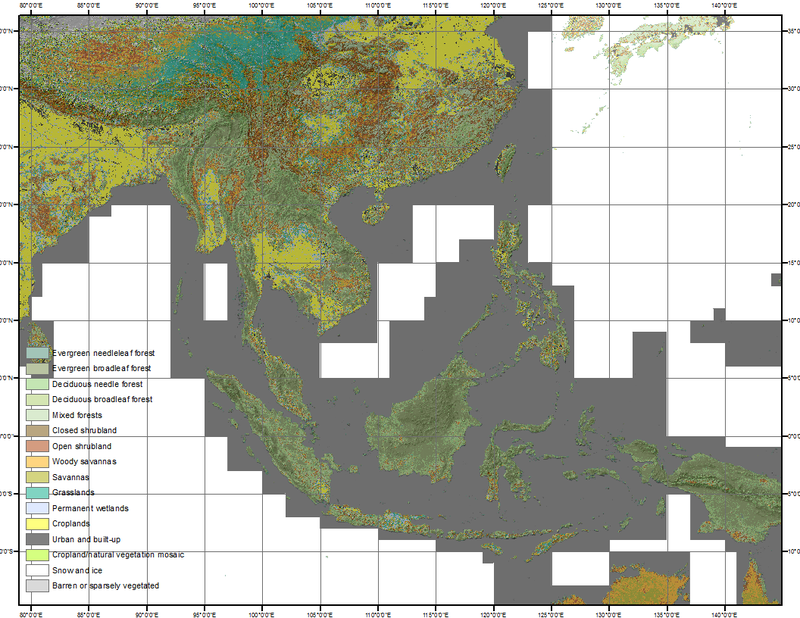 The purple lines show the basins boundaries in the as_bas_15s_beta dataset and the colored regions show our basins. This table compares the areas of basins (in cells) of our coarse basins versus the size that we calculated from the 3-second DEM. Tweaking of flowdirections is possible but tiresome. 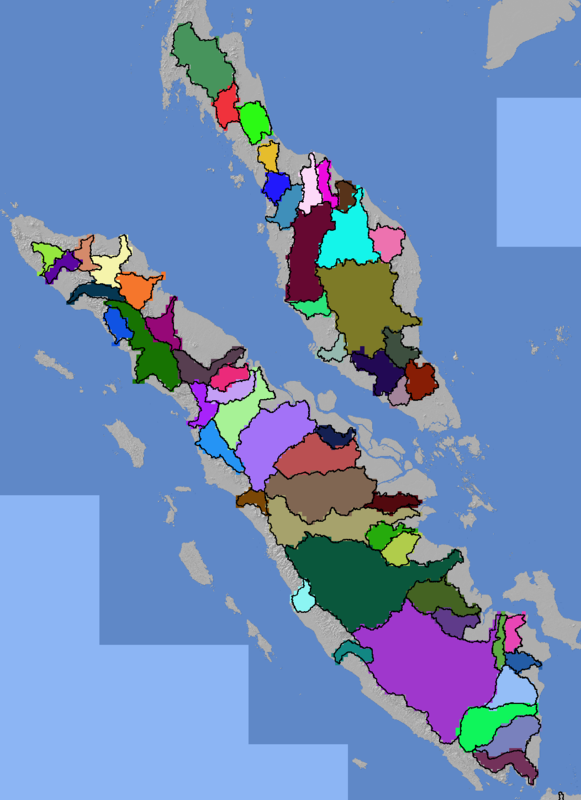 And here are 56 more basins for Sumatra and Maylaya. We had to tweak the 5-minute flowdirection grid to fix a gross aggregation error and several basin problems, and had to add an outlet where the automatic processing sent two basins into the sam e mouth. Hang on, we are sprucing up the automatic processing. Better basins soon.